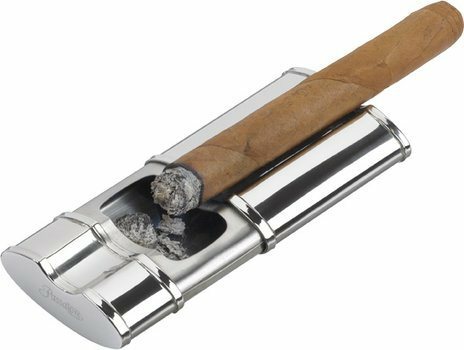 Travel in style with this portable ashtray in polished chrome. The sliding closure ensures that the ash stays where it belongs. Stylish and good quality product. I'm very pleased that I bought this. Convenient to take along to those restaurants that have only a cigarette ashtray, small and handy and pocket size.